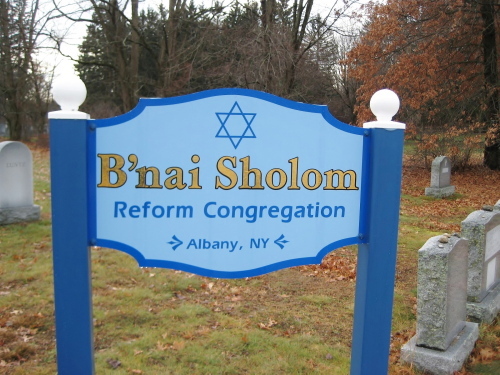 In September of 2000 B’nai Sholom Reform Congregation entered into an agreement with Elmwood Hill Cemetery in Troy New York. The deed is written in such a way that the Congregation sells the rights to be buried in its plots but does own the actual plots. The first group of ten plots has now been increased to 30 plots which included those interred as well as those who have purchased plots for future use. Plots are available for members in good standing, non member relatives of B’nai Sholom members, and non member relatives for whom a B’nai Sholom member has a Jewish obligation to mourn (i.e., mother, father, sister, brother, son, daughter, and spouse/domestic partner). 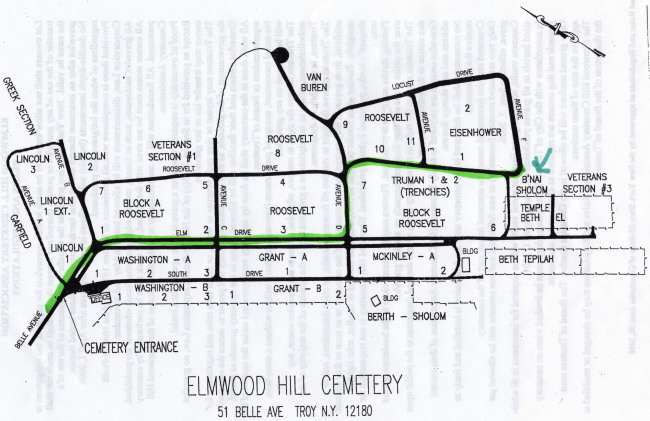 Elmwood Hill Cemetery is located at 51 Belle Avenue in Troy NY. Directions to the cemetery are below. 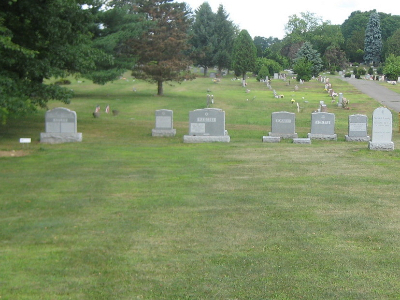 Also available are a series of documents associated with the purchase of Cemetery Plots and include: (1) Application to Purchase a Cemetery Plot; (2) B’nai Sholom Cemetery Regulations; (3) B’nai Sholom Plot Purchase Costs and Fees; (4) Elmwood Hill Regulations; and (5) Elmwood Hill Cemetery Charges. Both B’nai Sholom and Elmwood Hill maintain the right to change or modify rules, regulations and costs approved by the Board of Directors of both the Elmwood Hill Cemetery Association and B’nai Sholom Reform Congregation. Additional fees and costs associated with a funeral are arranged directly between the family of the deceased and family’s choice of funeral director. Members of the Cemetery Committee include Bill Schwartz, Chairman, Arthur Alowitz, Mark Fleischer, Ben Marvin, and Richard Nussbaum. Contact information for committee members is listed in the Directory. Questions and other information are available by calling the Temple Office at (518) 482-5283 or by email at office@bnaisholom.albany.ny.us. Take first left on Pinewoods Avenue onto Belle Avenue. Cemetery is at the end of Belle Avenue.